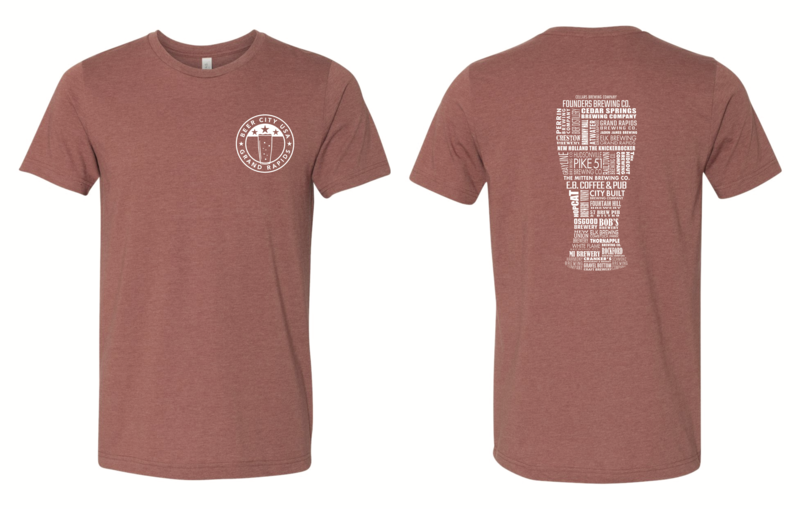 Home / Beer City USA / Brewery Pint Glass T – NEW COLORS! Find your favorite Grand Rapids brewery in the Pint Glass on back. 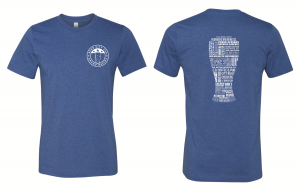 These are breweries included in The Beer City Brewsader Passport. Now also available in Heather Green and Heather Clay!